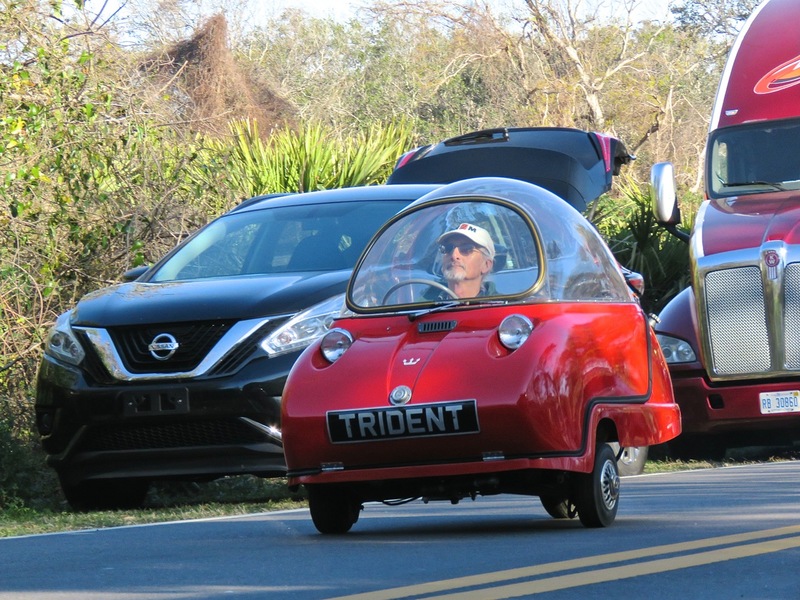 The Peel Trident is one of the smallest motor cars on Earth, and this was the first time I’ve seen one go by on the street. It’s comical seeing a car so tiny zipping along on its own power with an average size person driving it. Honestly, I just burst out laughing.